The first wedding card was offered by Ambani family at Siddhivinayak temple in Mumbai. 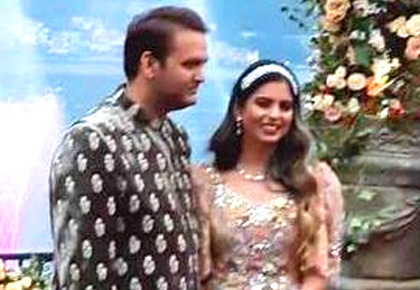 Daughter of business tycoon Mukesh Ambani, Isha Ambani will tie the knot with industrialist Ajay Piramal's son Anand Piramal on December 12 in Mumbai. The grand pre-wedding festivities will be celebrated in Udaipur between December 8 and 9. The beautifully crafted invite has a picture of 'Gayatri Maa' for blessings. 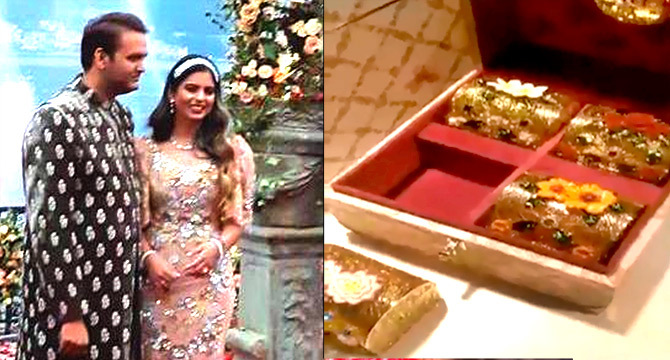 The couple who had a fairytale engagement in Lake Como, Italy have special golden memorabilia for the invitees. Watch the video below to check what's inside the wedding box.